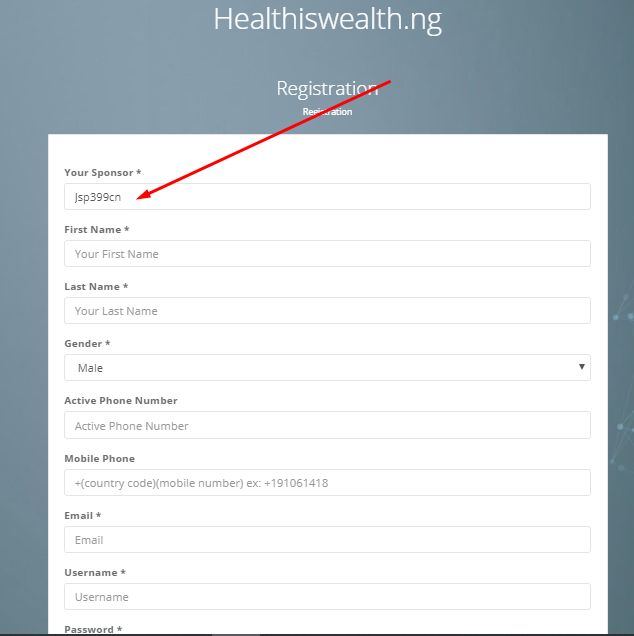 This Hiwap registration tutorial will walk you through step by step how you can join the Health is Wealth Affiliate Program and also how to upgrade your account and start making money. But before then I have 2 Special Bonuses for you that will help you make a lot of money on Hiwap if you signup using my referral link in this post. 1.3 How to Claim your Bonuses from me. You can’t do without my bonuses because it will really help you make a lot of money on hiwap when you register and upgrade your account. 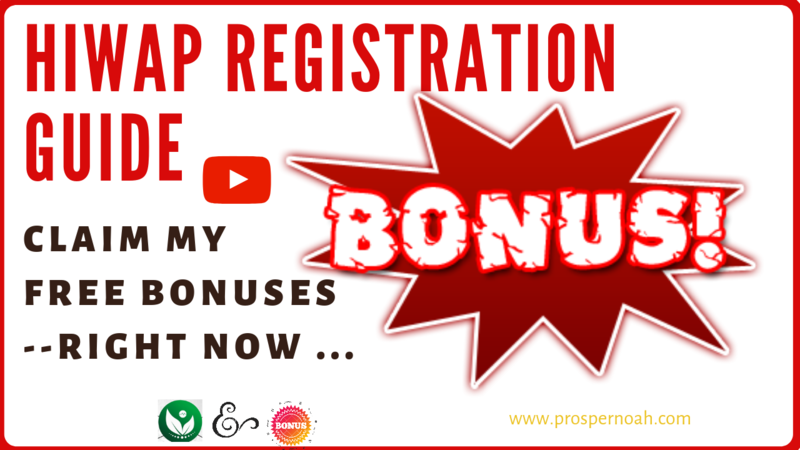 and you have to be fast about this, because when 100 people register using my referral link in this particular post, I will remove the bonuses for life. Remember you are getting my bonuses free of charge if you register and upgrade your account with my referral link. Now that you know the bonuses you’ll be getting, let’s get started on how to register a hiwap account and upgrading procedures. You need to follow the below steps carefully so you don’t make any mistakes. Don’t skip anything, just drop whatever you are doing right now and follow the procedures carefully. Note that in order to make money on Hiwap you need to not only register but also upgrade your account with the N2,000 fee and in order to qualify for my 2 bonuses, you need to make sure you follow the below instructions. Step 1: Click here to the registration Page. Step 3: Fill in your details such as email address, phone number, etc. Just make sure its filled correctly. That’s my referral link and that is what will qualify you for getting my 2 special bonuses. Step 5: When you are done filling the form, click on Signup and quickly go to your email and click on the verification link that will be sent to you. Head on to to the next step below to upgrade your account. Now that you have successfully registered into the health is wealth affiliate program, in other to start making money, you need to upgrade your account. You need to make a payment of N2,000 to an Official Hiwap ePin distributor and there is a Lady you are going to pay to, her name is Uzoma. and finally, send the debit alert to 08037859257 on WhatsApp. She will send you the ePIN Immediately without any delay. The pin is like some digits, and when she sends it to you, follow below to upgrade your account quickly. and Boom, your account is upgraded. Now you can start earning money by writing articles or referring others, that’s where my 2 Super bonuses come in. and Note: Referrals is not compulsory to withdraw your earnings. How to Claim your Bonuses from me. If you followed the instructions carefully in this post and you have registered and also upgraded your account, then you should send me an email to p[email protected] letting me know. Also make sure you include your username in the email for me to confirm that you used my referral link. I will send the 2 bonuses to you immediately. Then you can follow and implement what is there in the bonuses and make money from hiwap. You can either follow the text tutorial or watch the video tutorial to register and upgrade your account to start earning. In summary, below are the bonuses you are getting from me if you register to hiwap using my referral link in this post and the instructions again. if you have any questions don’t hesitate to drop them in the comment section of this post. I hope this hiwap registration guide and my 2 special bonuses helps you. are you being paid to post this ? Is it really legit cuz I want to do it but I’m scared . No I wasn’t paid to post this.